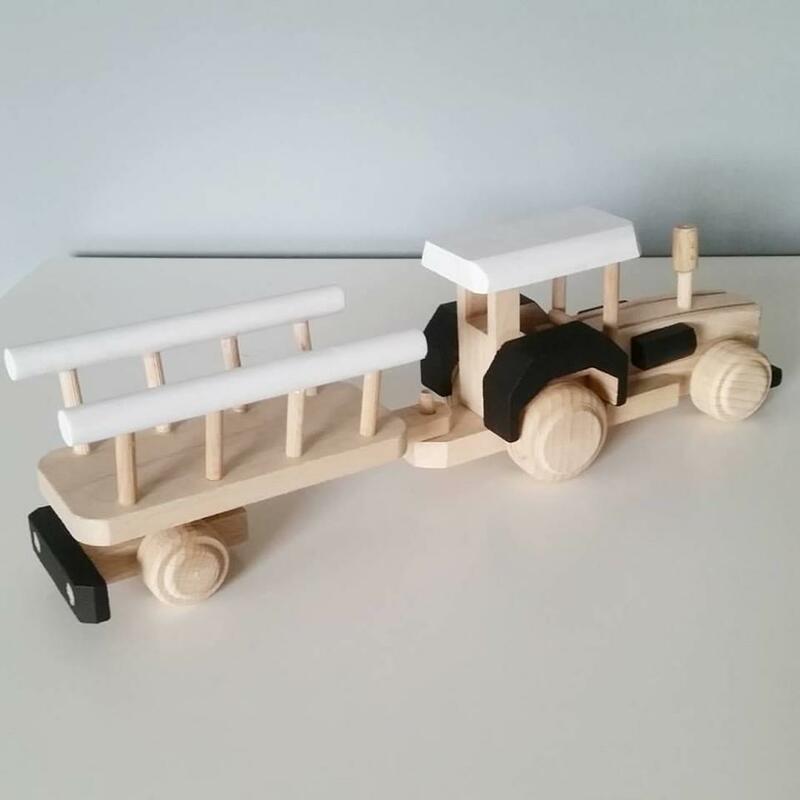 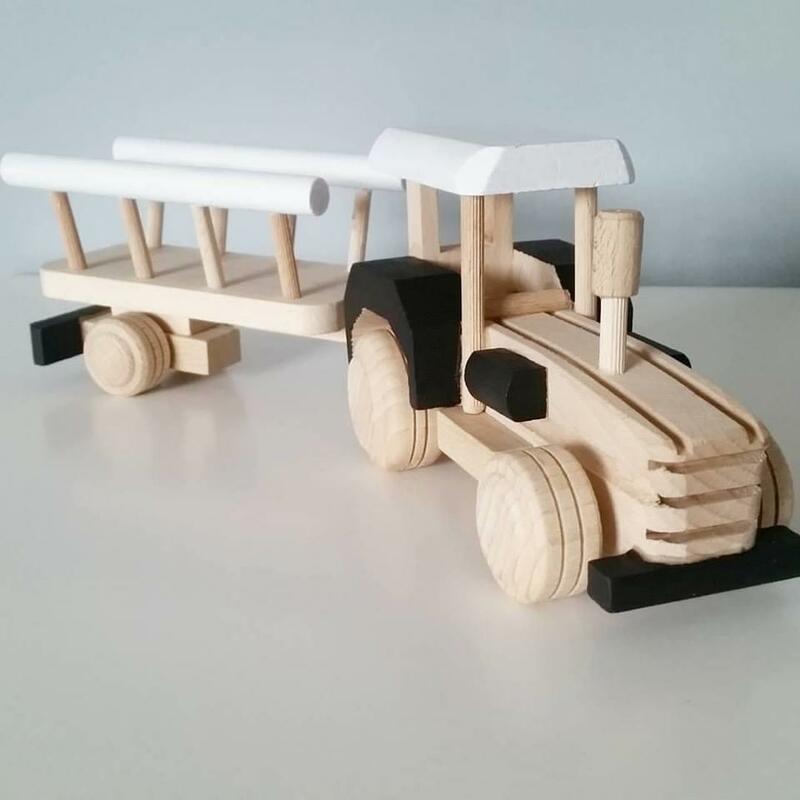 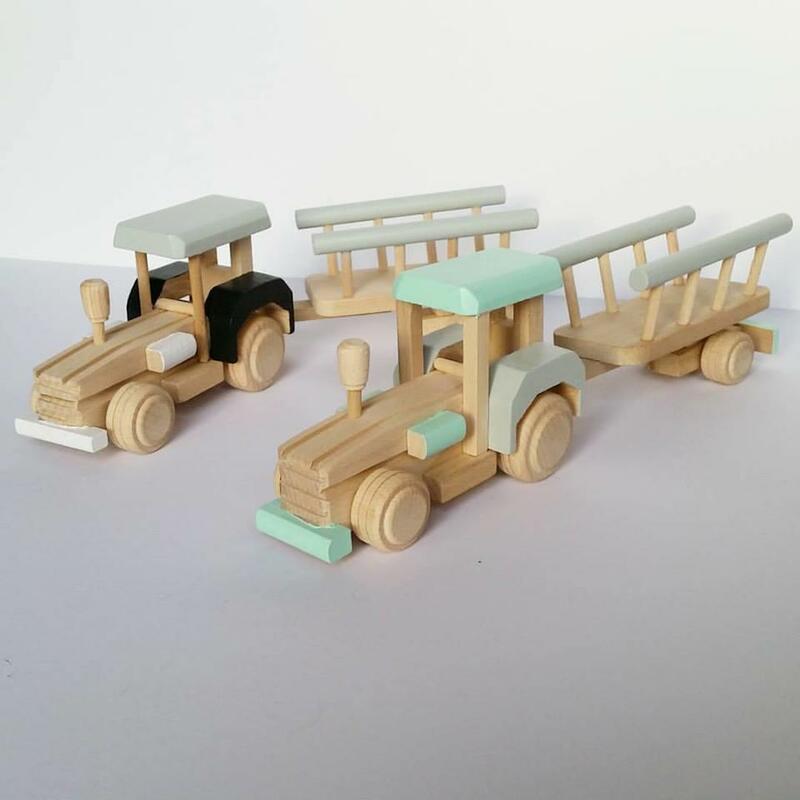 Handmade wooden tractor with a trailer, partialy covered with child friendly non toxic acrylic paint; please choose your colours and leave a note. 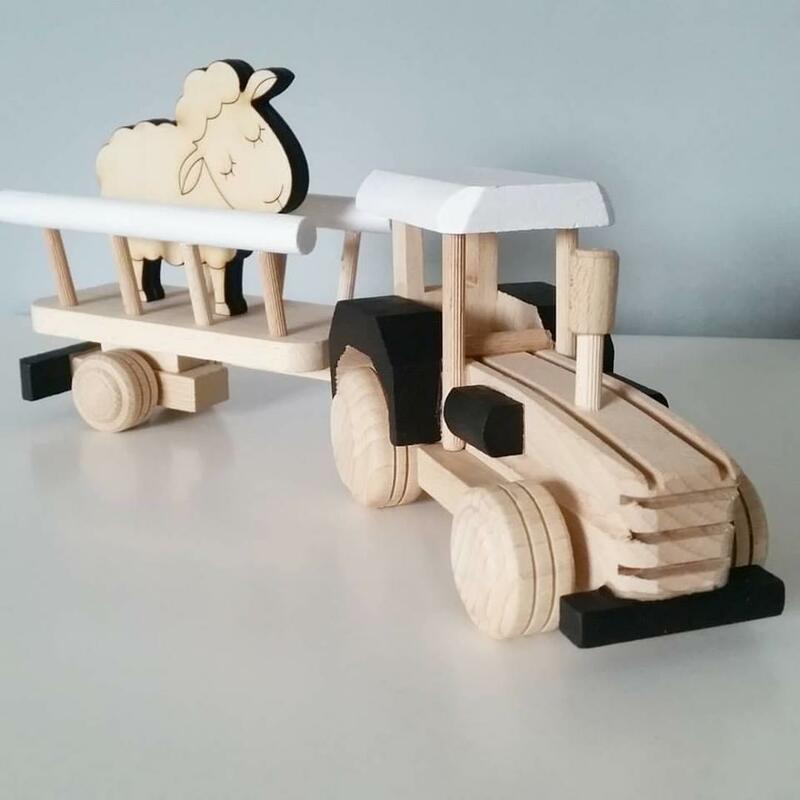 Tractor is made of solid beech wood, which is sustainably sourced from FSC certified suppliers. 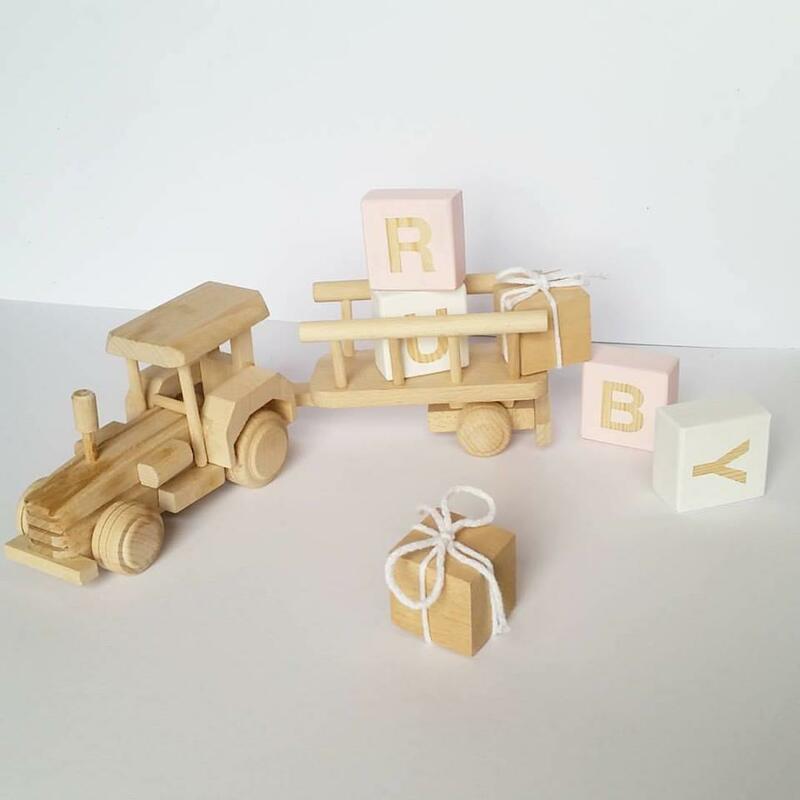 Please note; There are not two handmade items that are the same, which makes each item a special object.